You are here: Home › Blog › Uncategorized › Weekly Appointment updates and let us introduce ourselves to you! Weekly Appointment updates and let us introduce ourselves to you! If you are a member of our Facebook community you will see that we are now doing a weekly update on appointment availability, if you haven’t liked us on Facebook yet please do, there’s always lots going on and the latest cute pictures of all our doggie customers that we love to share with you all. If you are new to us, thinking about using our services or an existing customer that we haven’t got to know that well yet then let us introduce ourselves to you and tell you a bit more about how we work. 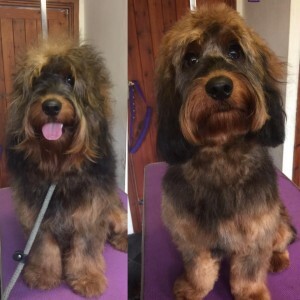 We are a small grooming shop in the market town of Biggleswade run by myself and my husband Matt. 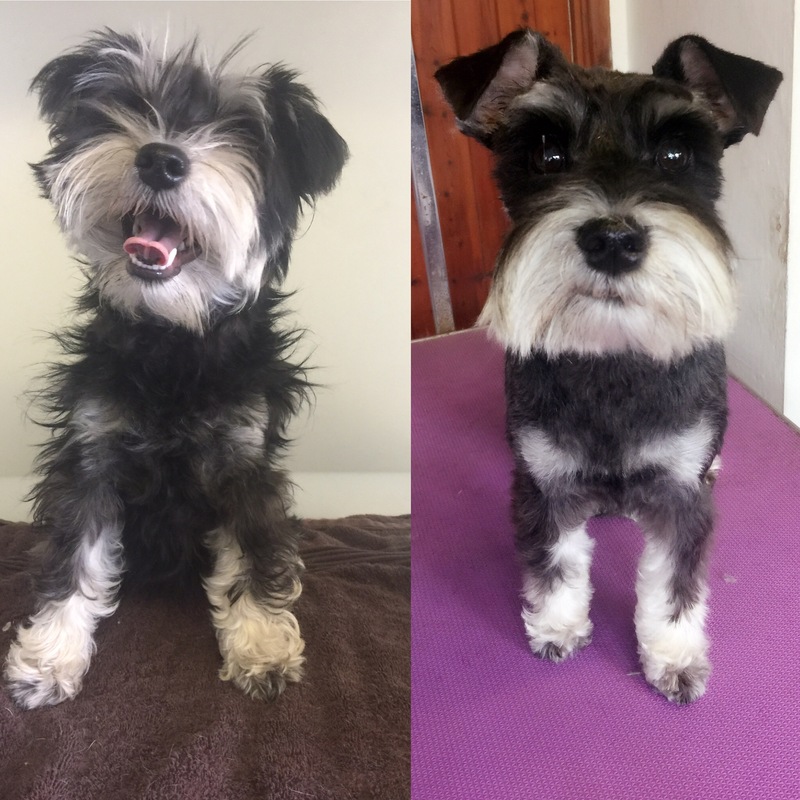 We are both very experienced dog handlers and huge dog lovers and have 4 dogs of our own, 2 Great Danes, a working cocker spaniel and our shop mascot Peggy Sue the French Bulldog who you will meet busying herself around the salon! Hollywood Dogs was established by me over 14 years ago now, we are now on our third premises and they have all been in Shortmead Street in Biggleswade! Our current shop is a listed building and the oldest shop in the town with lovely beams and plenty of character. 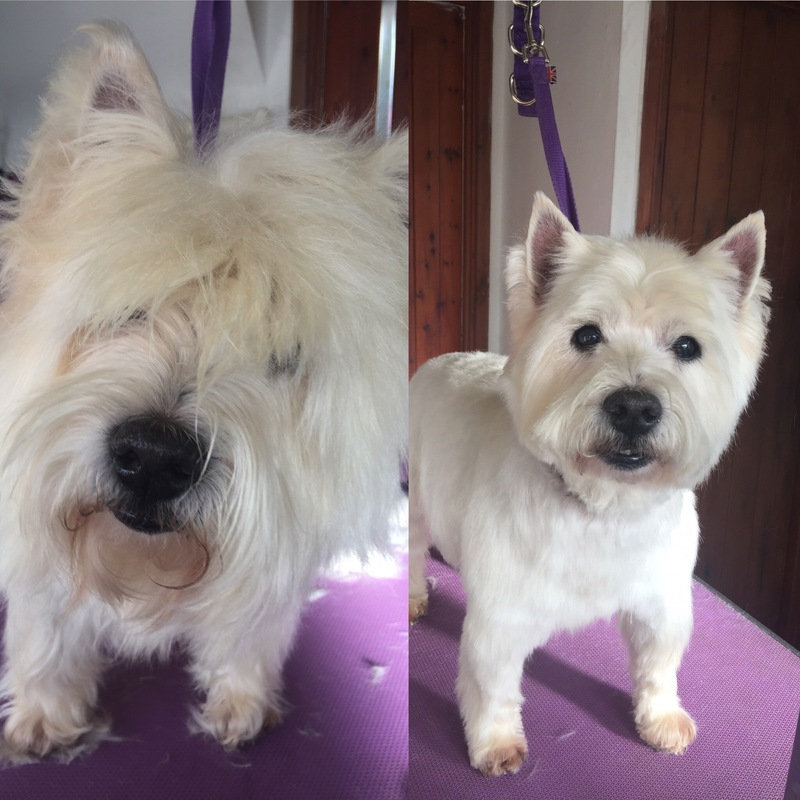 We work with the dogs on a one to one basis here, Matt does all the bathing, drying and prep work and I am the stylist. 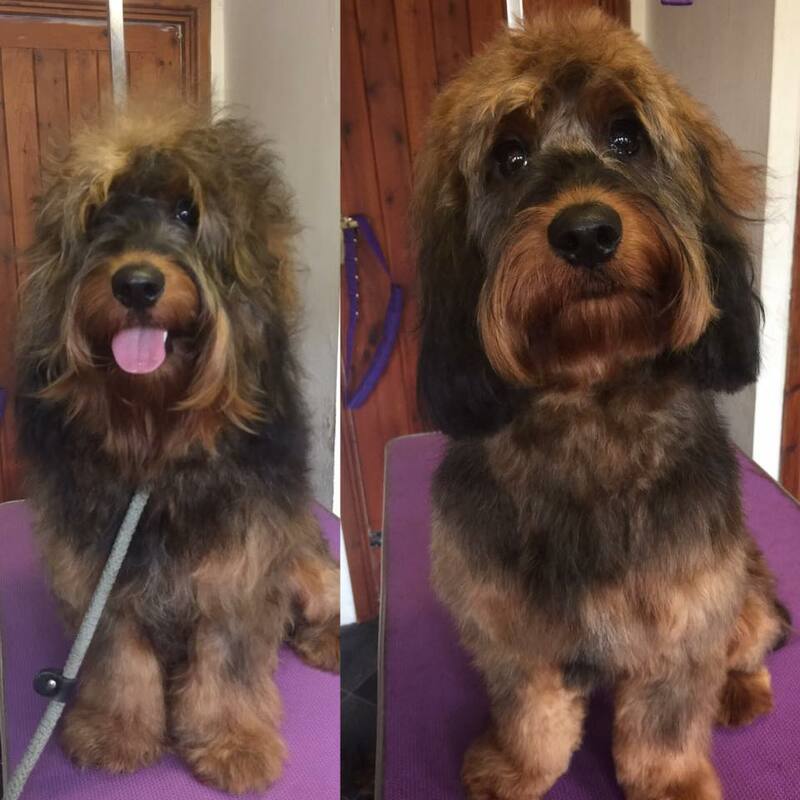 I pride myself on a kind, knowledgable and stylish approach to dog grooming. 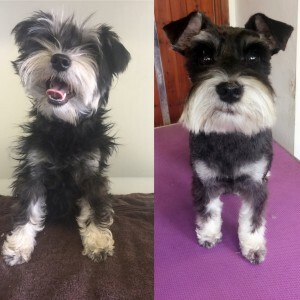 I will always listen to what you are looking for with regard to your dogs styling which will depend on a lot of factors connected to their lifestyle and yours. We have an excellent reputation which has been built up over the years, we currently have over a hundred 5 star reviews on our Facebook page and a thousand followers on Facebook which is testament to the great relationships we have built up with our clients for which we are very grateful. 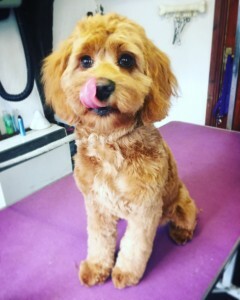 If you would like to become a client of ours please expect to wait 2-3 weeks for your first appointment as we do get very busy, most of our clients book their appointments in advance, so once you have your first appointment we can then go from there and get your pet on a grooming schedule suitable for them and a time that suits you. This does not apply to bath appointments as we can usually fit you in within a day or two. We would like to thank all our wonderful clients for making Hollywood Dogs so popular and we look forward to seeing you soon!